AutoCanada bought Mercedes-Benz Rive-Sud near Montreal in April, marking its first Mercedes franchise. Canada’s largest publicly traded auto dealership group says it plans to spend $30.9 million on dealership expansions and relocations in 2017 as it seeks to gain a foothold in more major Canadian markets and sell a more diverse mix of brands. AutoCanada Inc., of Edmonton, talked about its expansion plans as part of its first-quarter earnings, released late Thursday. 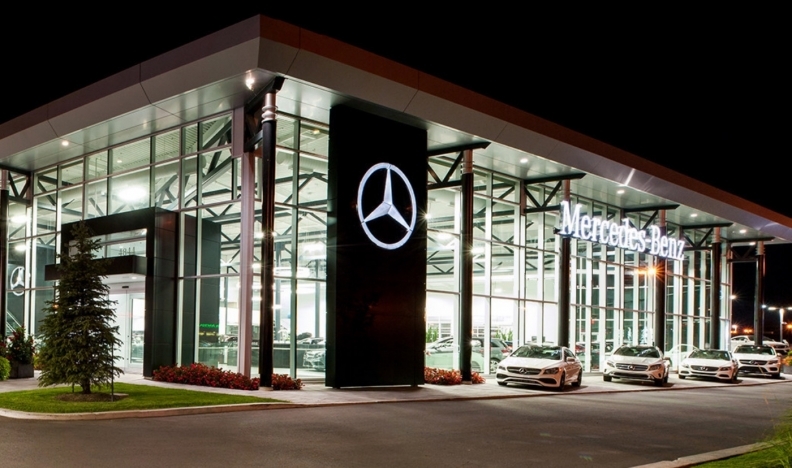 The group bought Mercedes-Benz Rive-Sud near Montreal in April, marking its first Mercedes franchise. The deal increased AutoCanada’s dealership count to 57 and expanded its brand offerings to 20. AutoCanada said it should finish relocating its Audi Winnipeg store in the fourth quarter, which should lead to increased customer traffic and sales. It also is constructing new Nissan-brand open points in Calgary and Ottawa. In a conference call with analysts on Friday morning, Landry noted that the company has a little less than $150 million left in a $250 million credit revolver available for acquisitions. “It’s really important for us to onboard new brands in new geographies,” he said. While FCA brands represent about 40 per cent of AutoCanada’s sales by brand, and Alberta represents about the same per cent of its sales by region, company executives said they were not interested in reducing those percentages so much as they wanted to increase the share of their sales represented by other brands and regions. “We’re not overweight them, we’re underweight the others,” Landry said. In particular, he noted that luxury brands have had and are projected to have double-digit growth rates, and the company sees “an opportunity” in that. On the other hand, he said that some dealership sellers’ perception of their value of their stores “remains what it was in 2015,” before the Canadian economy softened, so AutoNation remains “cautious” in its acquisitions, implying it is unwilling to overpay. AutoCanada’s first-quarter net earnings tumbled 49 per cent from the year-earlier quarter to $3.7 million, as revenue fell 4.2 per cent to $639.0 million. Gross profit was flat at $111.6 million. The company said one of the big reasons for the decline in net was the departure of the company’s former president, Thomas Orysiuk, who resigned March 16. After Orysiuk left, Landry also assumed the president’s title. AutoCanada also sold fewer vehicles this year when compared with last. Retail new-vehicles sales slid 4.6 per cent in the first quarter to 6,753 units. Including fleet sales, new-vehicle sales edged up 0.1 per cent to 8,508. Revenue from new-vehicle sales fell 2.7 per cent to $353.5 million. On a same-store basis, new-vehicle unit sales dropped 3.6 per cent to 7,344, against a Canadian industrywide gain of 4.5 per cent, according to the Automotive News Data Center. But AutoCanada noted that first-quarter sales in Canada for the 19 brands that it retails rose 3.3 per cent. James Treece contributed to this report.